Pink Parlour Philippines turns 1 this month, and as part of their celebration, they're having 50% off on Brazilian and Leg Waxing from October 18-21! 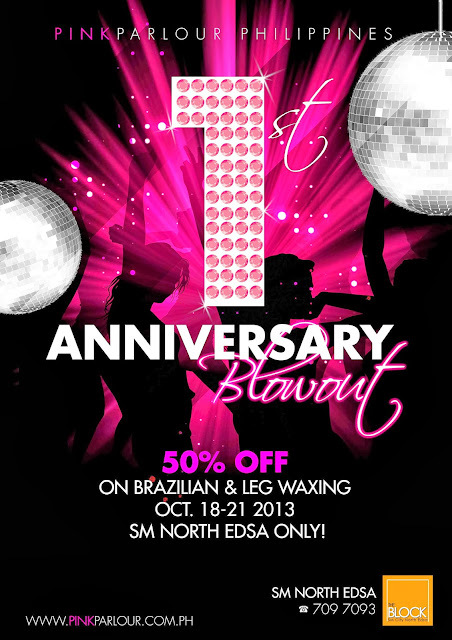 TWO winners will get P500 Pink Parlour Gift Certificates. Contest will run till October 18. Good luck!